Back in mid-October, I took a look at five European clubs who were still sitting perfectly with 100% starts to their season. It seemed to work as a jinx for Juventus and FC Salzburg who both drew at home in their very next match, with Genoa and with Wacker Innsbruck respectively. PAOK managed to hold off a little bit longer and their run eventually ended on 3rd November, after a draw away to Atromitos, a team I identified as a danger on the horizon. With those three dropping points, that left Paris St Germain and PSV Eindhoven standing as Europe’s only perfect, top-flight clubs. The European pair managed to negotiate the entire month of November without drawing or losing a league match but just like London buses, you wait months for one of them to drop points and when they finally do, it happens at the same time, or in this instance, on the very same day. PSG headed south to Bordeaux for what looked like a winnable game against a side languishing in mid-table. 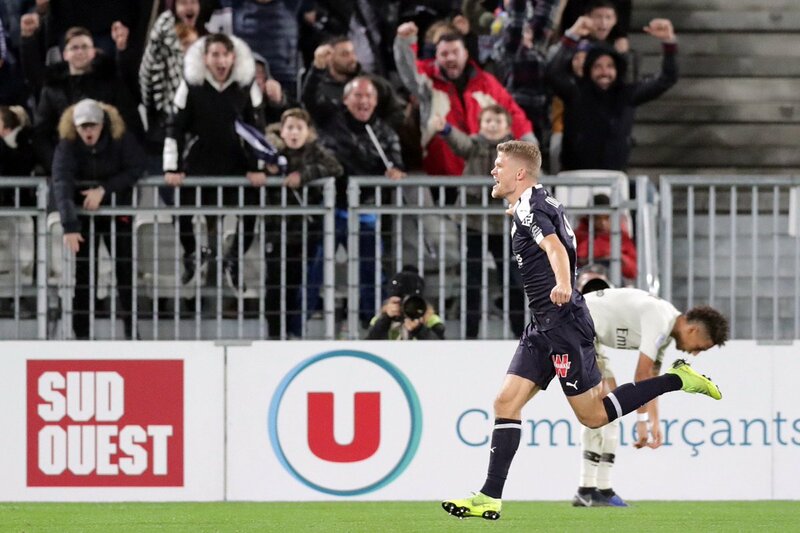 They led twice in the game thanks to goals from Neymar and Kylian Mbappe, but Jimmy Briand levelled the first time before Andreas Cornelius brought Bordeaux level on 84 minutes; just six minutes after coming off the bench. The draw will be a blow to PSG but it certainly won’t be a fatal one to their title credentials. The French giants' run of 14 consecutive victories and now a solitary draw has them on 43 points from 15 games in Ligue 1. In second place, Montpellier are actually as close to Toulouse in 15th as they are to PSG with a 14 point gap between the top two. Only a miracle would stop Thomas Tuchel lifting his first Ligue 1 title with the big-spending league-leaders. Things aren’t quite so rosy for PSV. They went to Rotterdam for a meeting with one of their “Big Three” rivals, Feyenoord. De Kuip was rocking early on as goals for Nicolai Jorgensen and Sam Larsson put Feyenoord 2-0 up. A nervy finish occurred after Steven Bergwijn pulled a goal back in the second half but it wasn’t enough and Feyenoord held out for the win which will taste all the sweeter as it ended Eindhoven's perfect start. The Eredivisie is interesting, in that despite 13 wins in a row, PSV hasn’t been able to leave their rivals for dead. Ajax has won eight league matches on the trot and now find themselves just two points behind PSV, in what looks like a two horse race; with Feyenoord a further eight points behind Ajax. The Dutch league has always been a great breeding ground for talent and the current PSV and Ajax squads are no different. Mexican star, Hirving Lozano has 10 goals and five assists for PSV. Steven Bergwijn also looks very promising at 21 years old. He has recently broken into the Dutch national team, playing his part in their recent resurgence. On the other side of the rivalry, Matthijs de Ligt and Frenkie de Jong’s stock seem to be growing on a weekly basis almost as quickly as the list of top clubs readying themselves to make a move for the Dutch internationals. Barcelona and Manchester City are believed to be near the top of the list but as time passes their values are increasing and when they finally move on, Ajax will be in line for a serious payday. PSV may still go on to win their fourth title in five years. If they do they will no doubt look to what has been a fantastic start. With Ajax breathing down their neck, they can't afford to dwell on the defeat to Feyenoord and it will most likely take another run of close to 13 successive wins to keep Ajax off the top spot in what looks like a thrilling Eredivisie title race. Can nations win more by not building around a superstar?